Side Bend and Twist on the mat and Semi-Circle on the Reformer! Any dish that involves chicken and rice. Spicy lah! An Indonesian national, Wita enjoyed a successful career as a singer in an Indonesian Girl Band, recorded an album, and won several national awards in her previous life! 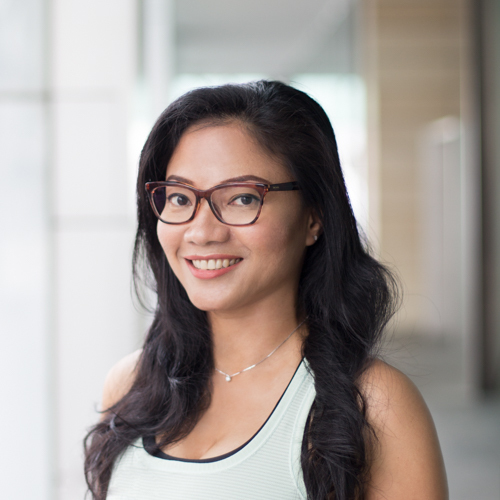 In 2013, she started her Pilates journey in Bandung and Jakarta, Indonesia and earned her BASI Mat Pilates teacher certification a year later. Since then, she has been teaching non-stop. She has taught both group and private clients in various Pilates studios in Indonesia. Always curious, Wita believes in continuous education in Pilates and regularly attends new BASI Pilates workshops - The journey never ends! She is a hands-on teacher and walks you through every aspect of the movement. She puts great emphasis on the precision in your posture and motion, getting the important basics right and hence, helping you gain better form and fitness. Wita is a certified BASI Mat Pilates and trained BASI Comprehensive Pilates Instructor. She is available for private Pilates sessions in English & Bahasa Indonesia.